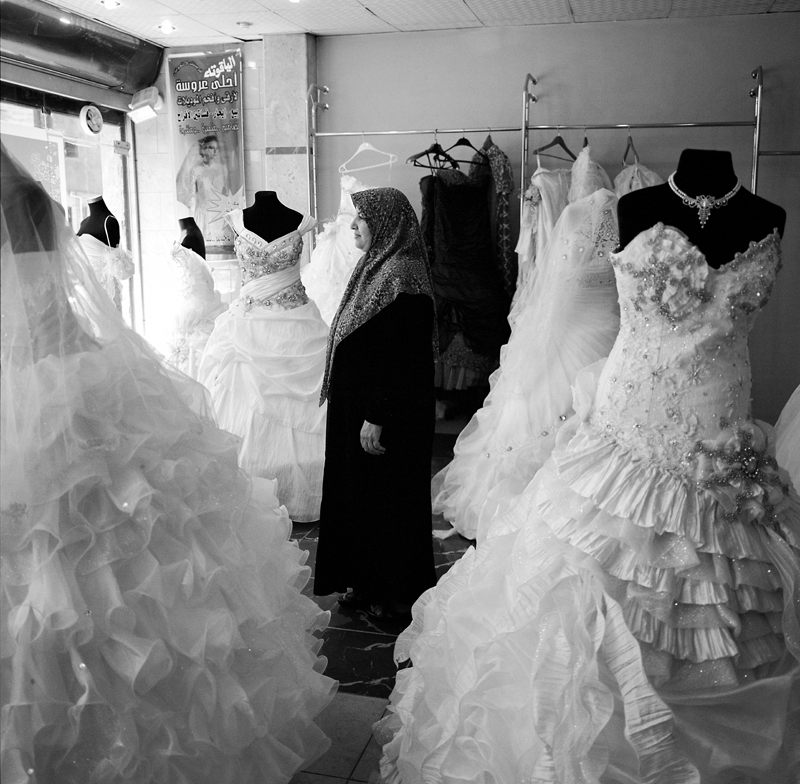 Weded Elbede, 52, stand in the bridal store that she has owned for the past six years. She has supported the revolution from the beginning, and all five of her sons fought to liberate Tripoli. After the revolution began in February, men working for Muammar Gaddafi would stop by her store, threatening to keep it open or else they would take it from her. "They wanted things to look normal," she explains. In April she closed her store "I grew tired of what was happening in the country and I wanted to show the world everything was not ok. I kept the shop closed until Tripoli was liberated." They opened the store again on the last day of Ramadan to show that things were going back to normal. One night during the revolution men supporting the rebels created a roadblock in front of her store, and raised the national flag. A father and son supporting Gaddafi lowered the flag and burned it, then called troops loyal to the repressive leader. "African’s showed up wearing green flags on their head, there was heavy machine gun fire. I live above my store, and many bullets broke the windows in my house." On August 23rd her youngest son was fixing his bike outside her store when a man in a taxi drove by spraying the street with bullets. He was shot four times in the back, along with other children who were playing outside. "A lot of taxi's were involved in drive by shootings as many were secretly working for internal intelligence. Leading up to the revolution I heard some taxis were working for free so they could speak to more people and gather information, they were targeting the youth."